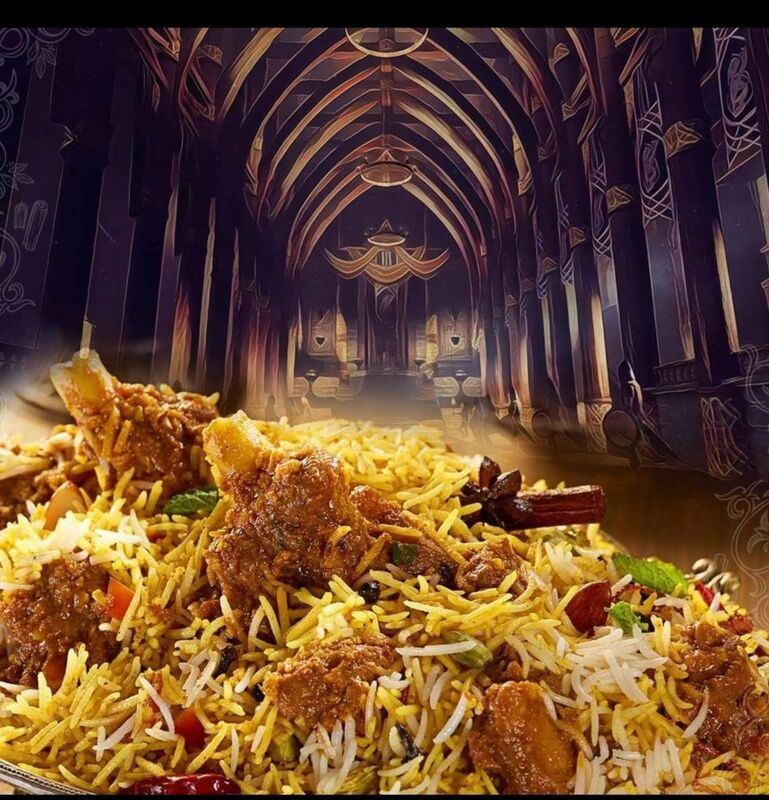 Biryani Box offer a full range of Indian subcontinent Hyderabadi dishes including Lamb & Chicken Dum with delicious vegetarian options. All biryanis are freshly cooked mughlai style, also known as Kacche Gosht Ki, marinated overnight with carefully chosen spices and then soaked in yogurt before cooking. Visit Biryani Box every Wednesday at Central Park Lunchtime Market. The Taco Truck is run by Austin & his wife, Rebecca who met in New York in 2013 where they used to frequent their neighbourhood taco truck. On moving back to Dublin in 2015 they decided it was time Ireland got it’s very own taco truck! Guillermo who is originally from Mexico has since joined the team and has offered invaluable knowledge on Mexican cuisine. 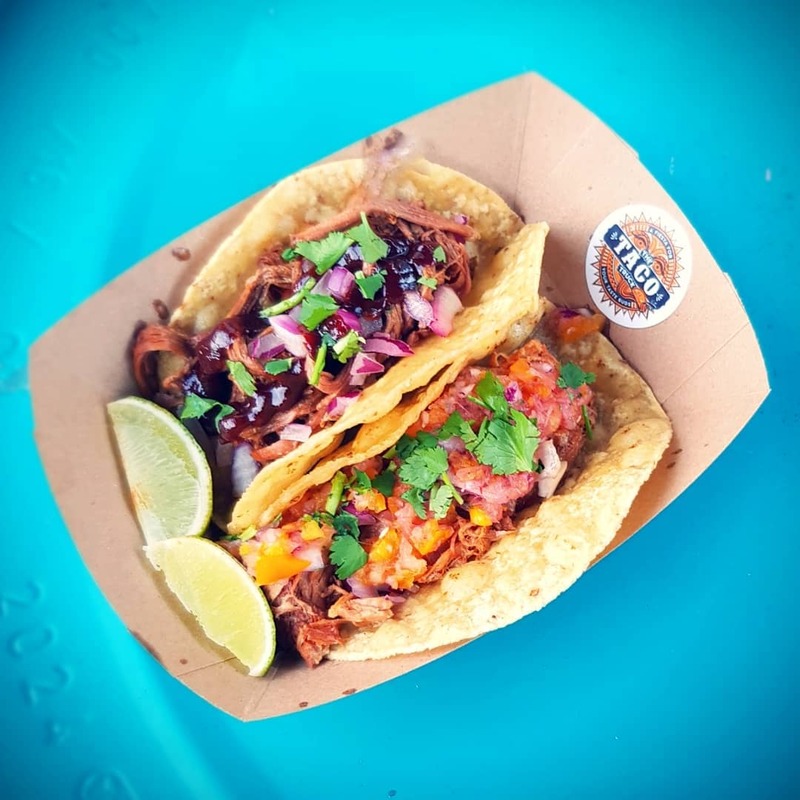 Visit the Taco Truck at Central Park every Wednesday. Love Falafel create their delicious wraps and salad plates with a Lebanese twist. Their version is made from chick peas which are soaked, ground and mixed with spices, such as cumin, garlic and coriander, then deep friend to golden brown perfection. Visit Love Falafel every Wednesday at Central Park Lunchtime Market. With Jackrabbit, Ian has merged these two successful businesses to create a concept that consistently offers its’ customers food that has been prepared with time, care and ingenuity. 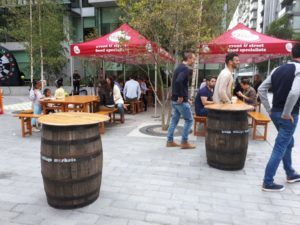 Pacheco Venezuelan Street Food’s Andrea Olivo & Andrea Figueira bring their mouth watering Venezuelan food to Eastpoint, Mespil Road and Sandyford every week. 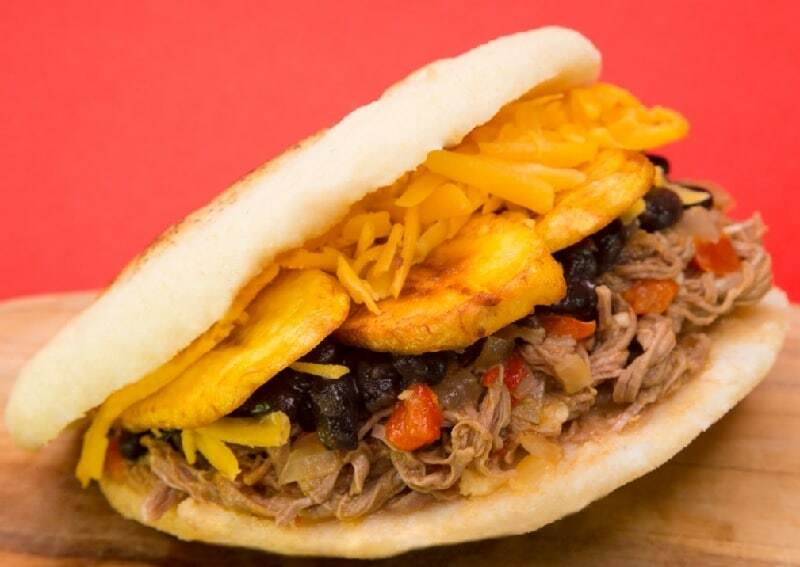 Their menu includes gluten free Arepas, Yuca, Empanadas, Guasacaca, Platanitos and lots more. With a population of over 31 million, we think it’s fair to say that variety and quality of Venezuelan street food will be a hit for all visitors to our markets and events. “Meat Mafia are passionate about the food we create. Our food is freshly prepared each morning and we use flame grilled 28-day dry aged sirloin steak is served on a toasted ciabatta with fresh rocket, sautéed mushrooms, onion and a choice of homemade pepper or garlic sauce”. For those who really enjoy their meat, try the Full Meaty – grilled steak & chicken served with onion, mushroom, coleslaw, cheese and mixed leaves. 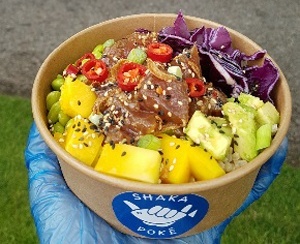 Poké – The Next Big Healthy And Tasty Food Trend To Sweep Dublin’. Poké (pronounced POH-kay) has everyone hooked. It’s hard to resist Hawaii’s beloved raw fish salad. It is beautiful, colourful and vibrant on the eye and tastes even better! The real beauty of the dish is its simplicity. It mostly features sashimi grade tuna or salmon, marinated in soya sauce and sesame oil, diced into cubes and served up as a cross between sashimi and a chopped salad. Poké is SUPER healthy, fresh and tasty. On The Hoof is the newest addition to The Red Bus Company. Custom built by Rory using a Second World War Army water tank, our wood fired smoker is the first of its kind in Ireland. ​All of the food is cooked using County Armagh apple wood adding a beautiful sweet, smokey flavour to the food cooked inside. Low and Slow is the style of cooking, with our cook times varying from two to fourteen hours depending on the menu. 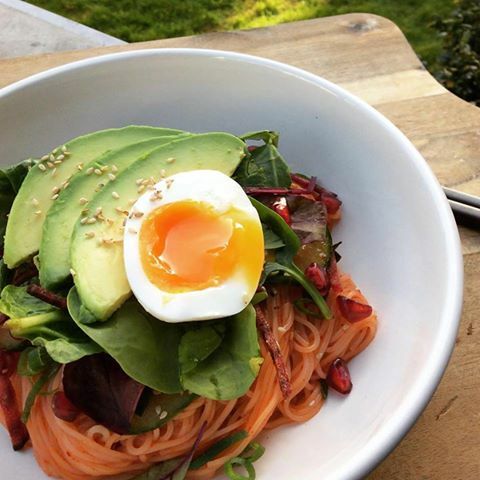 Jaru is a Korean kitchen based in Dublin offering a range of Korean soul foods that include Kimchi Fried Rice, Korean BBQ Beef, Pork Belly, and a wide array of delightful side dishes (Banchan) and homemade sauces. 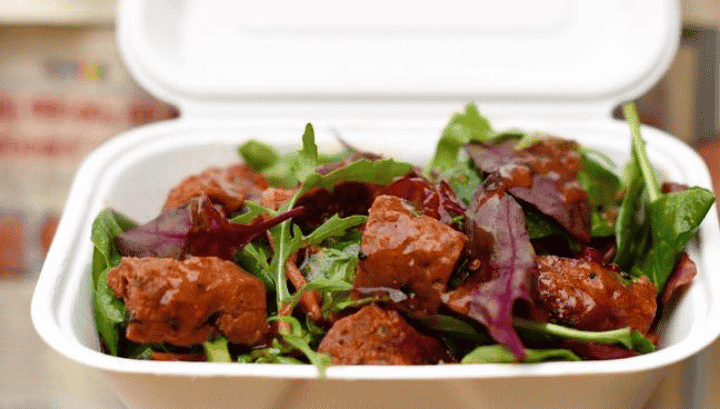 Jaru source all their ingredients every morning from the local market thus ensuring their customers taste the freshest food at every lunchtime market. 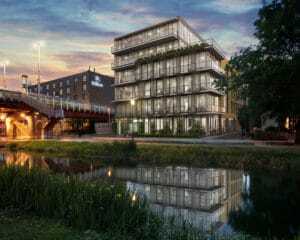 Seoul Kitchen is Ireland’s first Korean street food market stall. We aim to offer an authentic South Korean cultural experience. 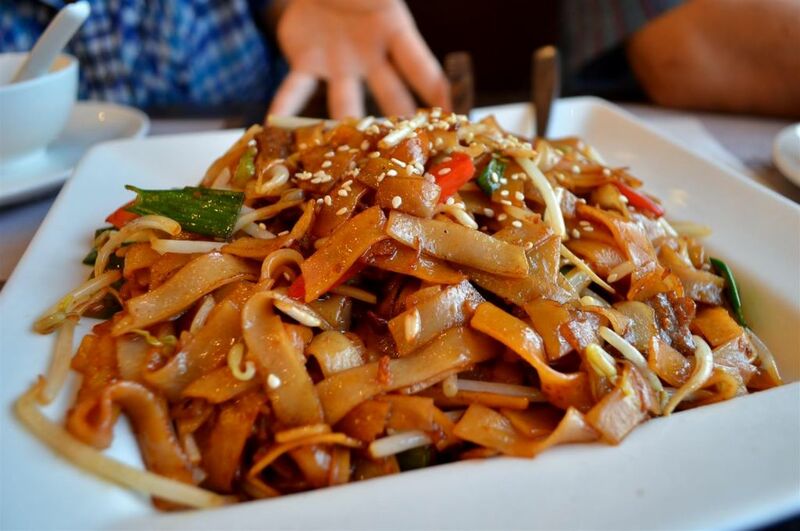 Miju and Dahui are committed to making delicious food using only the highest quality local ingredients. Our Irish free-range meats are marinated using fabulous Korean sauces directly from South Korea. 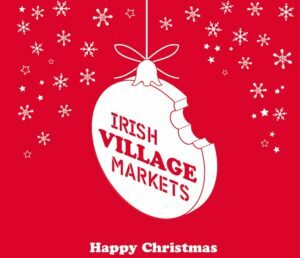 One of our long term traders, Dos Burritos have been creating the best Mexican food at the Village Markets for over eight years. 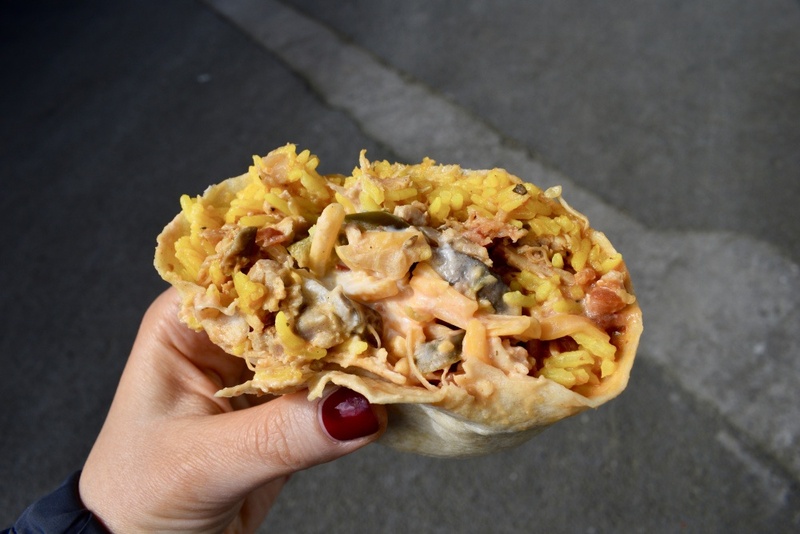 They offer three tasty options at all of our markets; the burrito, the burrito bowl or the burrito salad, all cooked fresh on site every morning. 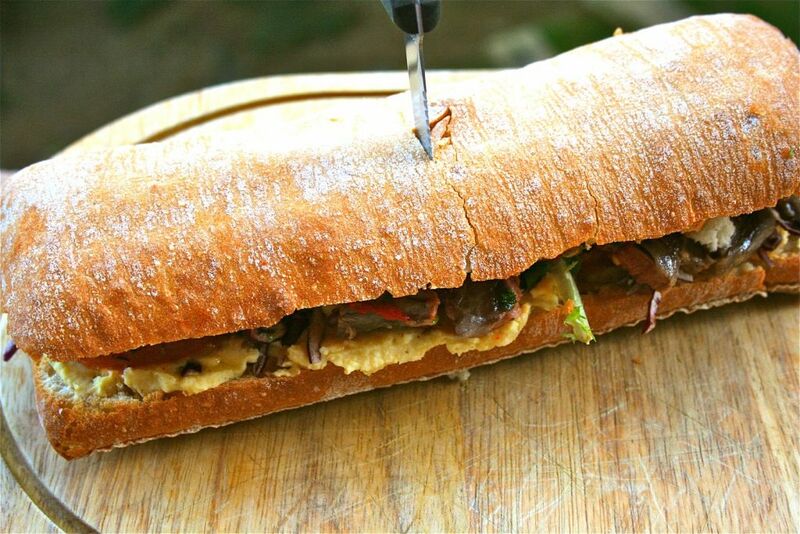 You will find all the usual fillings with a vegetarian option also on the menu. Their salsas include red salsa, smokey chipotle or green & sweetcorn salsa. Former Cornucopia and Happy Pear head chef Philip adds a certain jena se qua to the Village Markets. Shoots & Roots emphasise the use of whole, unprocessed, plant based foods to achieve healthy, flavourful food. What they do is based on the principle of bringing together vibrant, delicious food with high quality nutrition. The food is minimally processed and fully plant based. 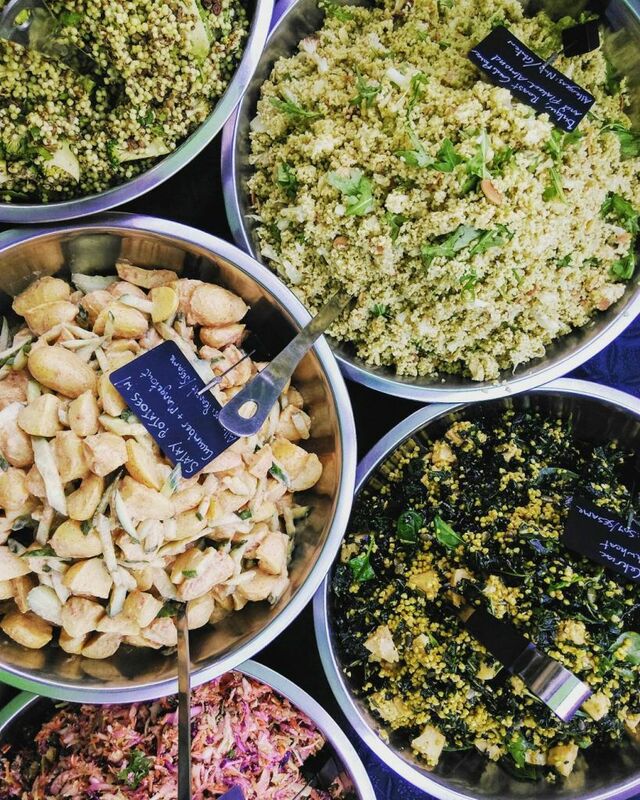 Each week at the markets they offer a choice of two delicious veggie burgers, served with a creamy hummus and a cashew nut pesto, and a selection of five side salads to accompany them. We are purveyors of the verace pizza napolitana which is the finest and truest form of pizza known to man. You are welcome to come to the market and look on with amazement as our pizzaiolos, spin, stretch and top. This is Ireland’s most delicious pizza, using the best ingredients and cooked in seconds before your eyes in the searing heat of our wood fired ovens. Zero Zero also cater for events, big and small, the length and breadth of the country. 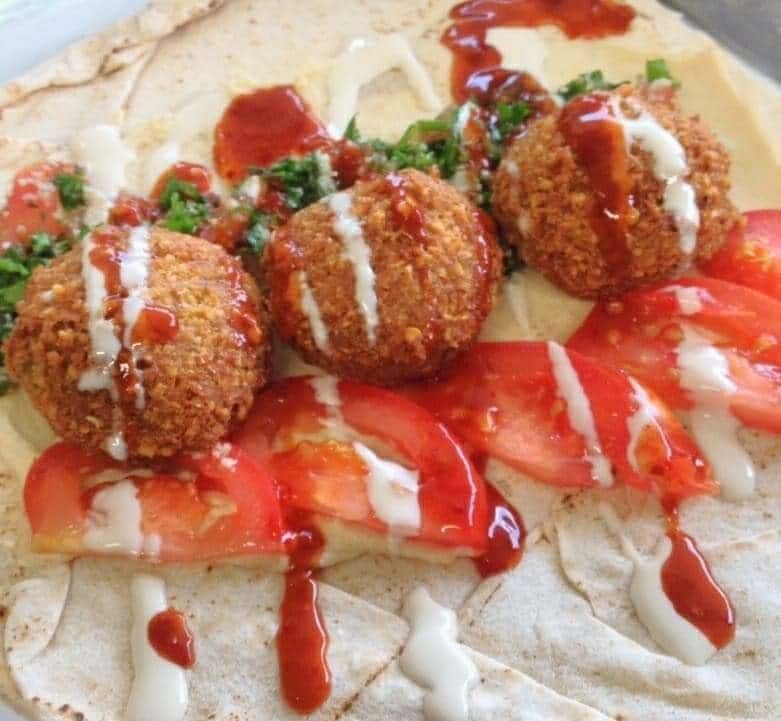 Visitors to the markets are very familiar with Falafel Bite. The ultra-white tent with the happy looking chef always has quite a buzz around it as customers await their daily fix. Catering for all tastes including vegan, halal and vegetarian our menu offers a falafel wrap, falafel plate or the mixed plate option. Our team give customers a taste of the food from home (The Lebanon) but please ask us to go easy on the chillies, unless you like a serious kick from your food! The Paella Guys is an award winning street food company. The quality of our ingredients is always paramount and we spare no expense using only extra virgin olive oils, Maldon sea salt, artisan chorizo, fresh herbs and hand made spice blends. 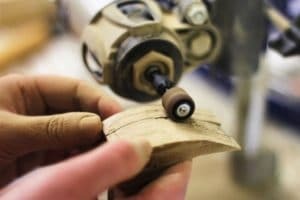 We make everything by hand for each market and outdoor event. We cook our paella on-site so it doesn’t get any fresher. 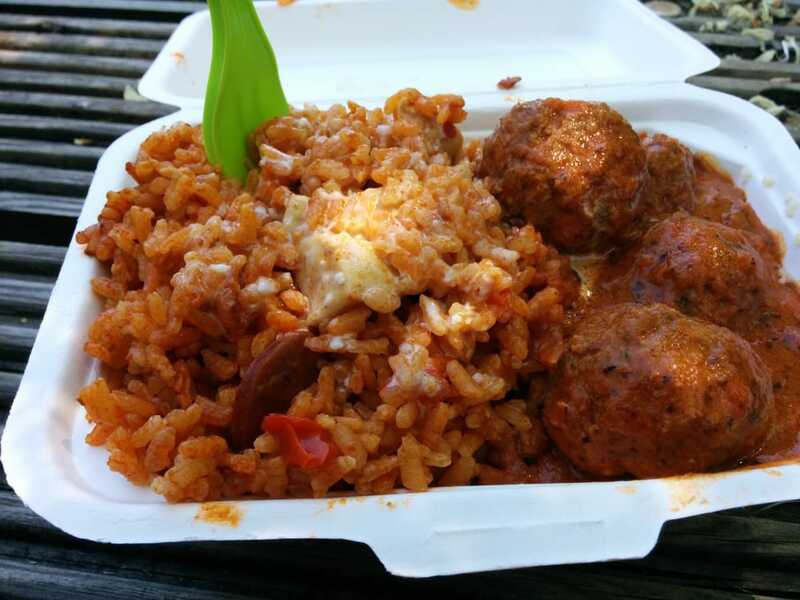 Our famous Chicken & Chorizo Paella and Moorish Meatballs have a loyal lunchtime following. The Kitchen Brazilian BBQ are Irelands first, busiest and tastiest Brazilian Street Food company. We use only the freshest and finest locally sourced & produced Irish meats & produce in our cooking. Run by husband & wife dynamic chef-duo Adrienne Ricardo & Michael Phelan, we offer Brazilian-style street food including “healthy” portions of BBQ’d beef, chicken breast & linguiça sausage accompanied with rice, chips and more. We serve up dishes such as Norimaki – a traditional Japanese food which comes with different fillings such as grilled prawn, fresh salmon, tempura fish, avocado, cucumber and asparagus. And Temaki which is a hand rolled cone with Norimaki fillings. We also serve a Bento Box which includes five dishes such as 2 pieces of Norimaki, Japanese stew of the day, Tempura dish of the day, Stir fried seasonal vegetables, miso soup and rice. We also give a precise number on calories in our recipes. The authentic German sausage served with a bun and Sauerkraut (German onion) which is a tasty addition. We also offer our delicious German bratwurst with wedges in a lunchbox. This comes with optional sauerkraut, fried onion, red onion, mixed pepper and cheese, so you can have it just how you like it. Recently we have also started to offer potato noodles, this is a traditional German schupfnudeln served with sauerkraut, bacon and sour cream. Yum! This is Ireland’s coolest and best Street Food Burger outfit. 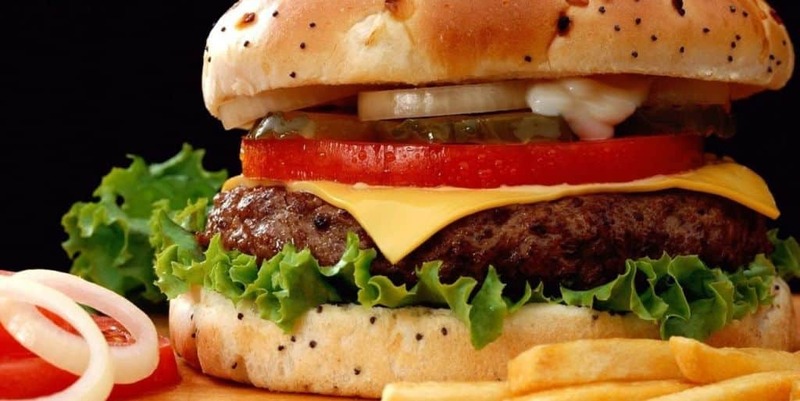 Burger Republic use only locally produced beef and suppliers to create their great burgers, and their menu includes great sides such as loaded fries. Burger Republic also serves up spiced lamb burgers and chicken fillet burgers. 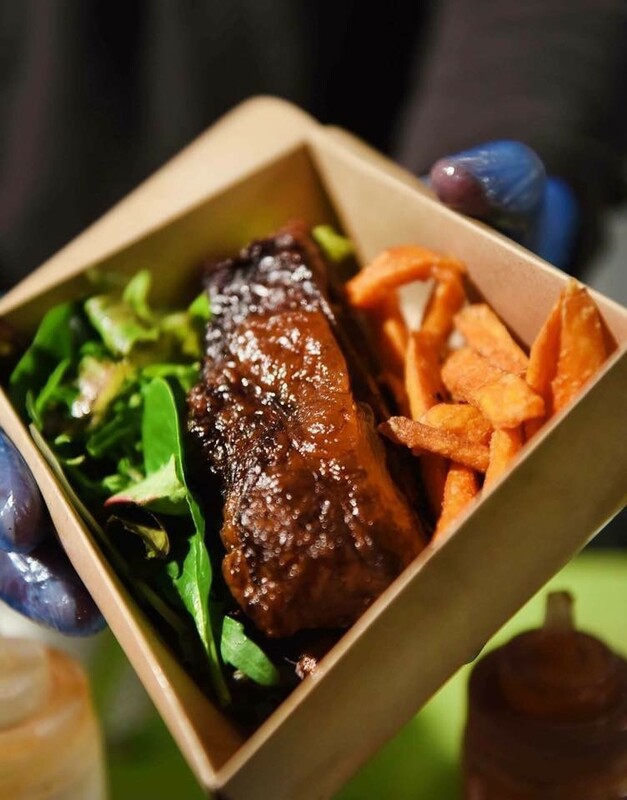 Run by chef Paul Catterson, Burger Republic operates from professionally branded gazebos, a vintage 1964 American Airstream Trailer and their newly arrived American style food truck. 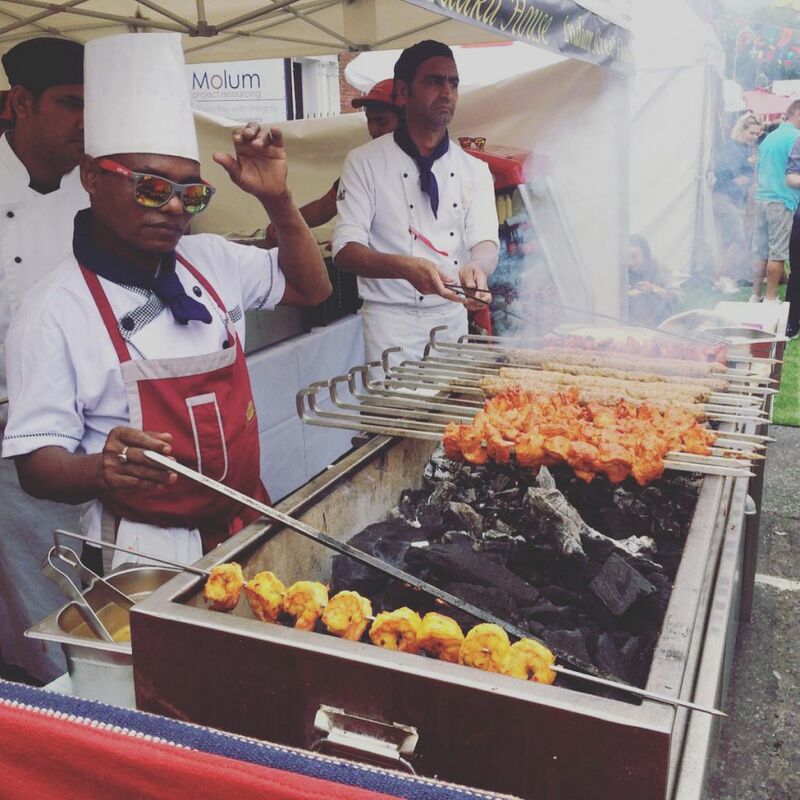 Bringing fresh Indian food to the Irish Village Markets. We use tandoori ovens imported from Delhi to create the best dishes and all served from our hand painted Indian trailer. We have a full menu to choose from with all the favourites such as rogan josh, tikka masala, jalfrezi, paneer and spinach curry and also a wide range of vegetarian and vegan dishes all of which are gluten free. All our tasty dishes are served with rice and poppadoms. Come rain, snow, wind or even the odd storm you can find ‘say fish’ serving up some of this islands best fish & chips. We receive fresh deliveries of only the best sustainable fish. Our classic fish & chips has modern twist on it, as we use Asian infused ingredients. All our tasty sauces are hand made using a special mix of spices that we blend. Our hand cut chips are twice cooked. This ensures our chips are cooked to perfection. We then toss our chips in a blend of seaweed and maldron sea salt. Yum!